Happy New Year! Please note that our office will be closed on January 19th in honor of the Martin Luther King Day holiday. In addition, our office will be closed February 12th – 16th. I will be in Phoenix during that time, enjoying some sun and visiting my niece. On February 11th, along with Lori Rath of Rath Law & Mediation, PLLC, I will be speaking at a continuing legal education course sponsored by the King County Bar Association’s Solo and Small Practice Section. The topic concerns the Washington Supreme Court’s recent revisions to the Rules of Professional Conduct governing lawyers’ actions. These changes involve how flat fees may be charged, and are designed to ensure that lawyers fully and fairly communicate with their clients regarding these fees. If you have any questions regarding this topic, please feel free to contact my office. As a small business, we rely primarily upon referrals in order to grow and sustain our practice. As we start 2009, please keep our office in mind. We would greatly appreciate any referrals in the areas of business law, estate planning and probate! Please note that our office will be closed on February 12th – 16th. I will be in Phoenix during that time, enjoying some sun and visiting my niece. In March 13, 2009, I will start the day by presenting at a continuing legal education course entitled, “Succeeding in Tough Times: A Survival Guide For Lawyers & Firms.” Also, on March 26th, I will be speaking at a continuing legal education course sponsored by the Washington State Bar Association on “Lincoln and Professionalism.” I look forward to these presentations, and hope that my input will be helpful to the lawyers who are attending. On February 11th, along with Lori Rath of Rath Law & Mediation, PLLC, I taught a continuing legal education course sponsored by the King County Bar Association’s Solo and Small Practice Section involving ethics and the Rules of Professional Conduct governing how lawyers interact with their clients. On March 13, 2009, I will start the day by presenting at a continuing legal education course entitled, “Succeeding in Tough Times: A Survival Guide For Lawyers & Firms.” Also, on March 26th, I will be speaking at a continuing legal education course, again focused on ethics, sponsored by the Washington State Bar Association titled “Lincoln and Professionalism.” While a college student in Idaho, I interned for former Lt. Governor and Attorney General David H. Leroy. Mr. Leroy is a Lincoln scholar and author, and currently chairs the Idaho Lincoln Bicentennial Commission. At my request, the Washington State Bar Association is sponsoring Mr. Leroy to participate in the “Lincoln and Professionalism” course. I greatly look forward to both of these presentations, and hope that my input will be helpful to the lawyers who are attending. On April 30th, I will be participating in a seminar entitled “Preparing Your Estate” with financial planner Debbi Vanselow of Edward Jones, Crown Hill office, Seattle. The seminar will be held at 10:00 a.m. at Ms. Vanselow’s office, 9776 Holman Rd. NW, Ste. 106, Seattle WA 98117. For more information or to RSVP for the seminar, please contact my office. On March 13, 2009, I presented information regarding our current economic climate as a featured speaker at a continuing legal education course entitled, “Succeeding in Tough Times: A Survival Guide For Lawyers & Firms.” As the first presenter, I explained the dramatic impact the economy has had upon law firms. Although much of this information is reported only in legal publications, the number of layoffs in my profession over the last six months has been truly astonishing. According to a recent survey by the American Bar Association, the average billing rate of a partner in a large law firm has risen to $451 per hour. Many clients simply cannot afford to pay rates at this level, and have “jumped ship” to mid-sized or small firms. This transition has caused a shift in my profession which, although painful for the lawyers involved in the layoffs, I believe is ultimately healthy for the legal profession. On March 26th, I participated as a panelist at a continuing legal education course, focused on ethics, sponsored by the Washington State Bar Association titled “Lincoln and Professionalism.” We’ve heard much recently about Lincoln’s role as President, but have heard little about his strong sense of professional ethics as an attorney. In fact, Lincoln had over 5,000 jury trials and also served as a pro tem judge. This seminar focuses on the major ethical tenets that Lincoln applied to his legal career, such as diligence and honesty. As a panelist, I appreciated the opportunity to learn more about Lincoln, and also to show his values still hold true today. 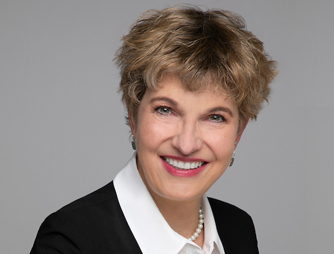 The two estate planning seminars mentioned in my prior newsletter with Debbi Vanselow of Edward Jones have been cancelled, due to Ms. Vanselow’s decision to take a sabbatical this spring. Please note that our office will be closed on June 15 – 17th. I will be in Coeur d’Alene, Idaho visiting family during this time. For your information, enclosed is a copy of the article “Pet Trusts – Providing for Your Pup After You’re Gone” (pdf) by Rebecca Wallick, J.D. This article was published in the March/April issue of The Bark: The Dog Culture Magazine. I am pleased to be quoted in this article! As a pet owner, I believe that it is responsible and right to put a plan in place, making sure your pet is taken care of if you happen to die first. Pets are part of the family! I am a member of the Animal Law Section of the Washington State Bar Association, and I enjoy working with pet owners to incorporate pet care into the estate planning process. If you have any questions about making to make sure your pet is cared for when you die, please feel free to contact me. Also, please visit my website regarding Your Pet In Your Will, to find a form you can download and complete. This form helps you provide instructions so, if anything happens to you, your designated friend or family member will be able to step in and have full knowledge of your pet’s preferences and health care needs. Please note that our office will be closed on June 15th – 17th. I will be in Coeur d’Alene, Idaho visiting family during this time. Our office will also be closed on July 3rd for the federal holiday. Enclosed is a copy of my article published in the April 2009 King County Bar Bulletin entitled ”Economic Crisis Ups Ante for Pro Bono Commitment.” Please read this article, and consider making a donation to the Equal Justice Coalition. As Washington citizens increasingly face complex legal issues such as avoiding foreclosure and navigating the often complex regulations involving social services, funding for civil legal aid is more important than ever. On a personal note, I wanted to let all of you know that my beloved cat and office mate, Rabble, passed away on May 28th at age 19. Many of my estate planning clients have heard about Rabble, in the context of our discussions about how to address their pet related concerns within their estate planning documents. Rabble will be missed! Please note that our office will be closed on July 3rd for the federal holiday. In addition, the office will also be closed on August 14th for a vacation day for our office. Enclosed is a copy of my portion of an article published in the June 2009 issue of the King County Bar Bulletin, “Collaborative Wisdom in Tough Times.” I hope you find it to be an interesting summary regarding how the current economic crisis is impacting the legal services industry, both nationally and on a local level. Please note that our office will be closed on August 14th for a scheduled vacation day. Next month, our office will be closed September 7th for Labor Day, and will also be closed on September 24th – 25th for vacation days. On September 22nd, I will be speaking at a continuing legal education course focused on ethics, sponsored by the Washington State Bar Association, entitled “Lincoln and Professionalism.” I also participated in this program in March. I am honored to continue to be involved with this inspiring program, which focuses on the exemplary values and talents Lincoln brought to his law practice. Due to my participation in this CLE, coupled with the previously mentioned office closures, no client appointments will be scheduled for the week of September 21st – 25th. resolve to be honest without being a lawyer. The leading rule for the lawyer, as for the man of every other calling, is diligence. Please note that our office will be closed on September 7th for Labor Day, and on September 11th, 24th – 25th for vacation days. In October, our office will be closed on October 1st – 2nd due to my multiple presentations, October 12th for Columbus Day, and also on October 15th – 16th for vacation days. On September 12th, I will present two courses for entrepreneurs at the U.S. Small Business Administration’s Biz Fair 2009. Please see www.bizfair.org for more information. On September 22nd, I will be speaking at a continuing legal education course focused on ethics, sponsored by the Washington State Bar Association, entitled “Lincoln and Professionalism.” I also participated in this program in March. For more information, please contact my office or visit the Washington State Bar Association’s website. Due to my participation in this CLE, coupled with the previously mentioned office closures, no client appointments will be scheduled for the week of September 21st – 25th. On October 2nd, I am pleased to team with Dena Levine of DML Insurance to offer a presentation on business succession. Our presentation is sponsored by the Women’s Network for Entrepreneurial Training (“WNET”), through the Women’s Business Center’s Community Capital Development. For more information, please contact my office. Also, on October 2nd, I will be speaking with Lori Rath of Rath Law and Mediation at the 54th Annual Estate Planning Seminar, a continuing legal education course sponsored by the Washington State Bar Association. Our topic is: “Successful Management of a Small Firm Estate Planning Practice: General Advice Along with Tips for Survival in Challenging Economic Times.” I’m excited to be speaking at this seminar, which is one of the largest continuing legal education programs in Washington. For more information, please contact my office or visit the Washington State Bar Association’s website. September 8th marked the 10th anniversary of opening up my own law firm! We are proud of reaching this milestone, and also appreciative of your support. It’s been a pleasure to work with all of you. Please note that our office will be closed on October 1st – 2nd due to my multiple presentations, October 12th for Columbus Day, and also on October 15th – 16th for vacation days. In November, our office will be closed on November 11th in honor of Veteran’s Day, and also on November 26th – 27th for Thanksgiving. On September 12th, I presented courses for entrepreneurs at the U.S. Small Business Administration’s Biz Fair 2009. I enjoyed teaching business owners about business law essentials and the selection of a business entity. On September 22nd, I spoke at a continuing legal education course focused on ethics, sponsored by the Washington State Bar Association, entitled “Lincoln and Professionalism.” This continuing legal education course, sponsored by the Washington State Bar Association, provides ethics credits for attorneys. It focuses on the professionalism and other qualities that Lincoln brought into his long and accomplished law practice. On October 2nd, I am pleased to team with Dena Levine of DML Insurance to offer a presentation on business succession. Our presentation is sponsored by the Women’s Network for Entrepreneurial Training (“WNET”), through the Women’s Business Center’s Community Capital Development. Also, on October 2nd, I will be speaking with Lori Rath of Rath Law and Mediation at the 54th Annual Estate Planning Seminar, a continuing legal education course sponsored by the Washington State Bar Association. This program, sponsored by the Washington State Bar Association, is one of the longest running and best attended programs of its type in the country. Please note that our office will be closed on November 11th in honor of Veteran’s Day, and also on November 25th – 27th for Thanksgiving. Also, I want to give all of you advanced notice that our office will be closed January 14th – 22nd. In October, I enjoyed making presentations on several interesting topics. On October 2nd, I teamed with Dena Levine of DML Insurance and Linda Teachout of the accounting firm of Anderson ZurMuehlen for a presentation on business succession sponsored by the Women’s Network for Entrepreneurial Training (“WNET”). If you die unexpectedly, do you have a plan in place to transfer your business? If you need some assistance in working through a plan and setting it up, please give us a call. On December 10th, along with Ann Guinn of G&P Associates, I will be both co-chairing and presenting at the Washington State Bar Association’s continuing legal education course entitled, “Strategic Solutions for Solo and Small Firm Practitioners.” Due to my involvement with this program, our office will be closed on this day. Dreamers look into the future and see promise. Those who do not dream only see the future. ~ D Elder. Happy Holidays! Please note that our office will be closed January 14th – 22nd. During this period, Lisa Vargo will be available to assist our existing clients with on-going work. During most of this time, I will be in Phoenix enjoying the sun and cheering on my niece as she runs her first marathon. On December 10th, along with Ann Guinn of G&P Associates, I will be both co-chairing and presenting at the Washington State Bar Association’s continuing legal education course entitled, “Strategic Solutions for Solo and Small Firm Practitioners.” Due to my involvement with this program, our office will be closed on this day. For more information, please visit the Bar’s website at www.wsba.org. I understand that the holidays are an especially hectic time. However, I ask that you please remember to pay your bill before the end of this year. Remember, for businesses, legal expenses paid by the end of 2009 will be considered a deductible expense for purposes of calculating your final 2010 federal tax liability.